Just like there isn’t a miracle cure drug for every ailment, there is not a specific eye surgery or procedure that has the ability to correct every vision problem. At Woolfson Eye Institute we have put together this article in order to educate our patients, or anyone else considering LASIK surgery in order to give them a more accurate depiction of exactly what common eye issues LASIK or laser eye surgery can potentially fix. While LASIK eye surgery has the ability to improve vision problems attributed to a wide variety of issues, there are other surgery procedures such as monovision, PRK, and other types of vision correction options that could be a better fit for you. While we make every effort to educate both current and future patients on this site, the best way to “get the facts” is to schedule a complimentary consultation. Without going into too much doctor speak, it is important for you to know how your vision is measured. The unit used to measure vision is called a diopter, and a specific number is derived based on that unit, relative to the light pending properties of your eye(s). As you may already know the final number is expressed as a – (negative) if you are nearsighted, and a + (positive) if you are farsighted (nearsightedness and farsightedness are known medically as myopia and hyperopia, respectively). LASIK surgery is an ideal vision correction choice for many patients who experience both moderate & severe levels of nearsightedness. 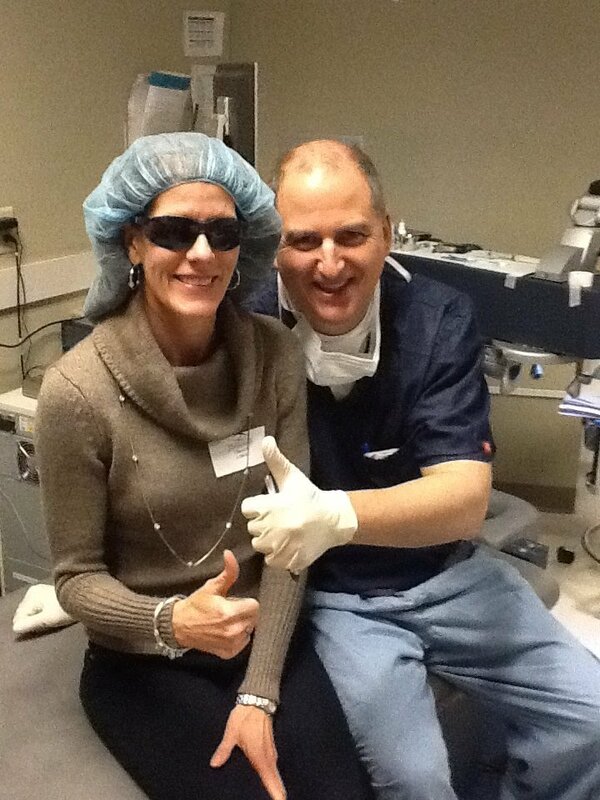 In fact, a large portion of our patients who have successful LASIK surgery outcomes initially suffered from severe nearsightedness, and in many cases were told that LASIK would not be the right option for them. However, due to the Stulting Research Center and other advanced technologies the doctors at Woolfson Eye Institute have at our disposal, we feel confident performing LASIK surgery on many patients who come to us for a second opinion. While LASIK surgery is still an extremely viable option for individuals who suffer from farsightedness or hyperopia, we are more cautious when evaluating patients as LASIK candidates who suffer from this specific vision problem. Individuals experience farsightedness because the cornea is flatter, and the eye is shorter than a normal eye would be, causing distant objects to focus behind the retina. The degree of your farsightedness will determine how effective LASIK will be in treating your specific condition, but as the leading LASIK provider in the Southeastern United States, we are confident in our ability to treat your vision problems, whether that is with LASIK, or one of our other vision correction procedures. Many individuals suffer from blurry vision in one or both eyes, and this is most commonly caused by a condition know as astigmatism, which you have probably heard of before. The uneven steepening of the cornea is the primary cause of astigmatism, which in many cases can be corrected with LASIK surgery from Woolfson Eye Institute. While you may have a good idea based on this article and other research as to whether or not you are a LASIK surgery candidate, we encourage you to give us a call to schedule your consultation and discuss your laser eye surgery options. Whether you are suffering from nearsightedness, farsightedness, astigmatism, or any other vision impairment, we can evaluate your specific condition and needs, and get you on the right treatment plan. In Tennessee: Knoxville and Chattanooga. we most likely have a location near you! So contact us and you will be well on your way to getting vision correction from the leader in the Southeast.